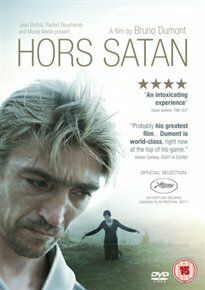 Avant-garde drama directed by Bruno Dumont and set in a bleak, hauntingly corner of Pas de Calais. The film follows a nameless outsider living on the fringes of society (David Dewaele) who develops a close bond with a nameless young woman (Alexandra Lemâtre). He acts as a guardian to the girl as the film progresses, killing the people she claims are tormenting her and making her life unbearable. Set along the northwestern French coast, the film touches upon aspects of good and evil, spirituality and isolation.